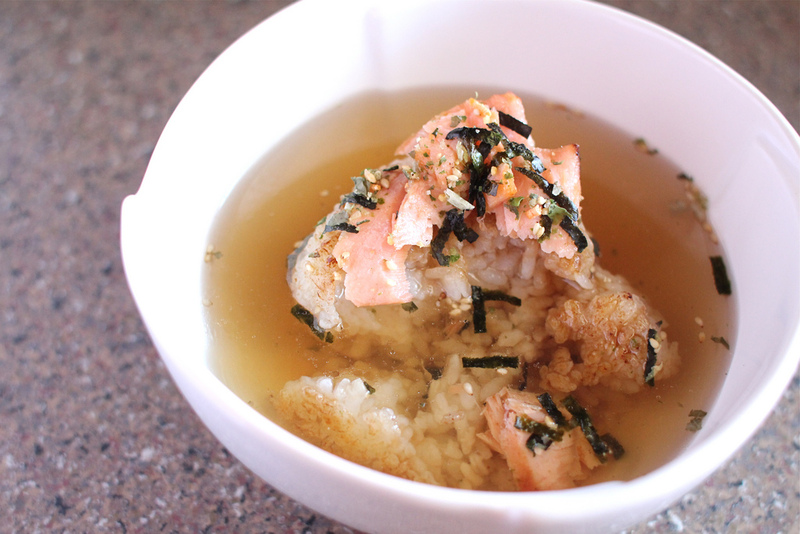 My first experience of ochazuke was during my first visit to Jun Japanese Kushi-Yaki restaurant a few months ago. My friends and I ordered an assortment of izakaya dishes to share and seeing on the menu a dish called ‘yaki onigiri with salmon flakes in a clear broth’ I had to order it for myself. I love eating soup with rice added in it. The dish came in a bowl with a yaki onigiri inside hot off the grill with a crunchy crust, which gives way to soft fluffy rice inside when you break it apart. 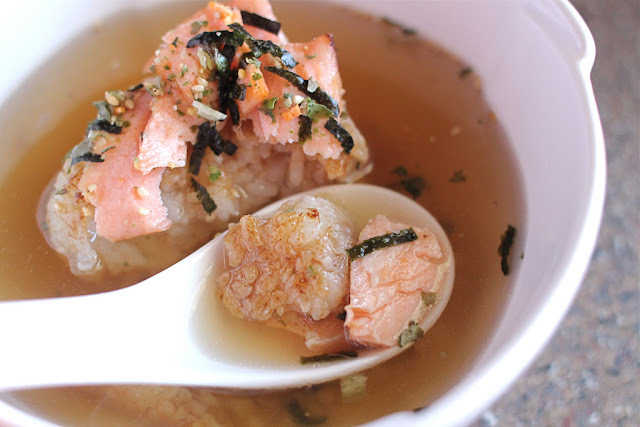 With contrasting rice textures, bits of salmon providing flavour against the subtlety of a simple broth, it was very pleasant and comforting to eat. I researched the dish and found that I had consumed ochazuke - a Japanese dish consisting of a bowl of rice with different savoury toppings and green tea poured in to submerge the rice. It is commonly served at the end of a meal as green tea is good for digestion, eaten as a midnight snack or enjoyed as a light meal at any time of the day. It’s also considered a good hangover cure as the antioxidants in green tea help to detoxify the liver, and has the qualities of a chicken soup as it’s tasty, hearty and nourishing and something that people like to eat when they are not feeling well. So I can’t find a reason why I wouldn’t want to be eating ochazuke all the time, especially when it’s so easy to prepare. At a very basic level it’s just rice and green tea, which by itself is quite bland but there is a lot that you can do to elevate the flavour and provide different textures. 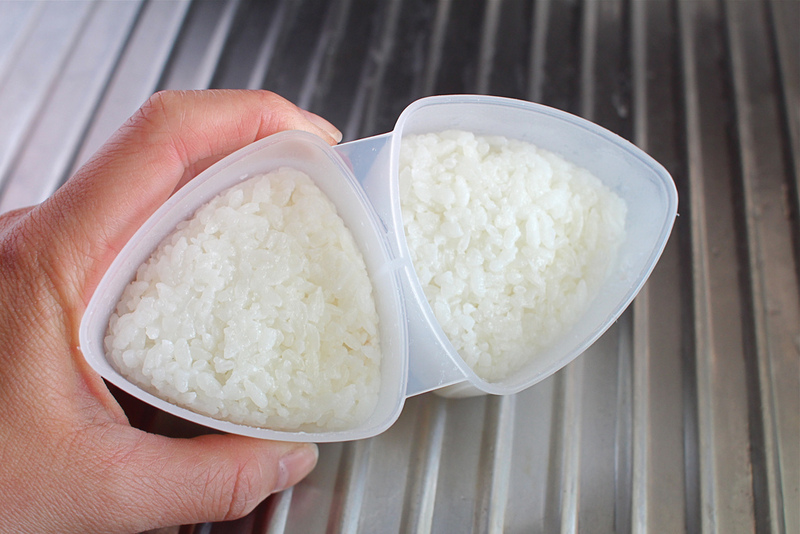 I have been making ochazuke at home containing yaki onigiri to get rice that is crunchy on the outside and soft on the inside. I add salmon flakes cooked Nobu style where the salmon is marinated in sake, mirin, miso and sugar for 2-3 days resulting in a wonderfully tender, sweet and slightly caramelized fish. 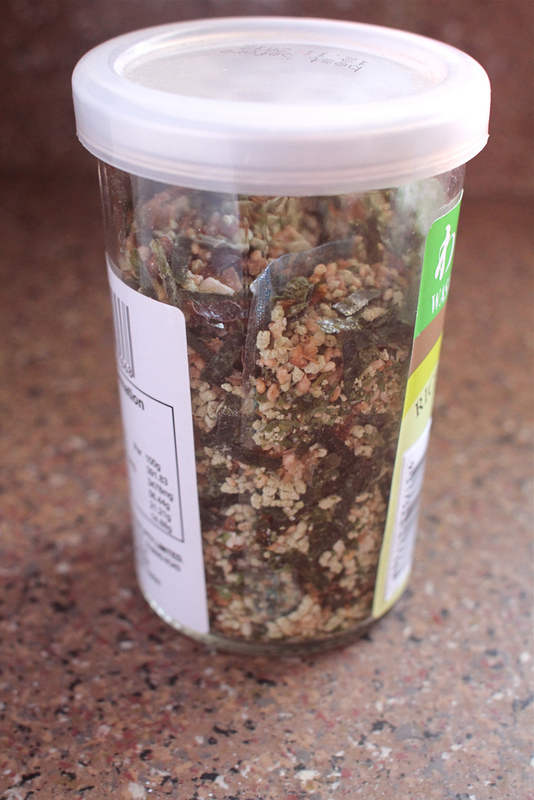 I like sprinkling furikake over the top, providing a mix of savoury flakes, and instead of just pouring in green tea, I combine green tea and dashi to get a broth that has more depth of flavour with an umami hit. 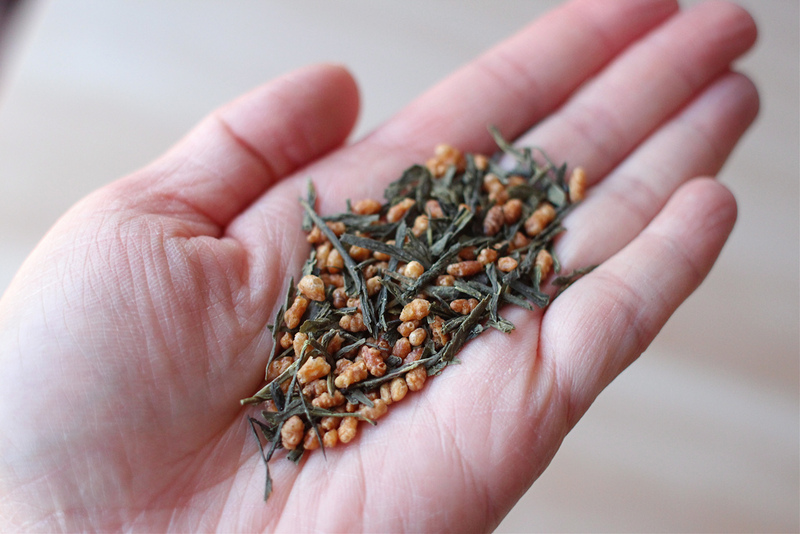 Any green tea can be used but I like to use genmaicha which is green tea leaves with roasted brown rice as the rice balances out the grassy flavour of the tea by providing savoury aromatics with a toasted, nutty flavour. Heat a frying pan with a little oil. On a medium heat, fry each side of the onigiri until the rice forms a crisp skin and is lightly brown, then brush each side with some soy sauce mixture and continue to fry each side on a low heat until it forms a nice crust. 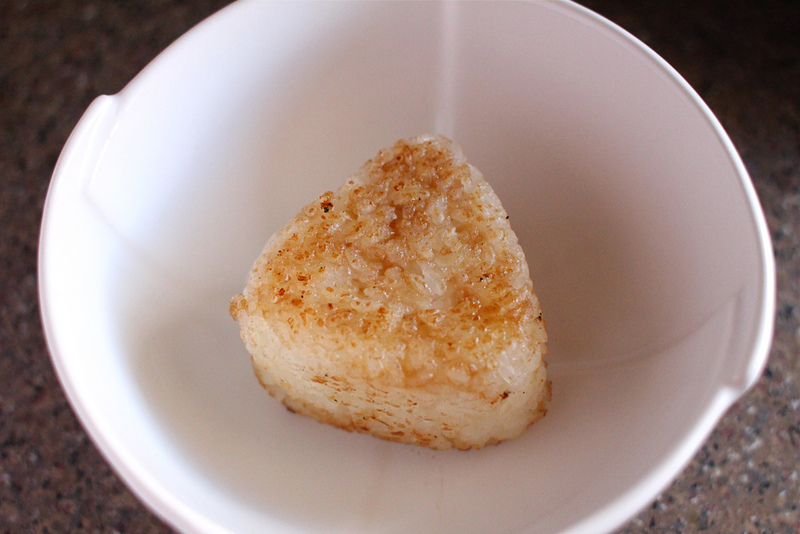 Note: Keep a careful watch over the onigiri when frying it after it has been brushed with the soy sauce mixture as it can burn. In a small saucepan, bring the mirin and sake to a boil over medium heat, then turn the heat down to low and whisk in the miso until it has dissolved. Turn heat up to medium, add sugar and cook, whisking until it has just dissolved. Transfer marinade to a baking dish and let cool. Then add the salmon fillets, turn to coat evenly with marinade. Cover and refrigerate for 2-3 days. Preheat oven to 200C. Heat frying pan and add some oil. 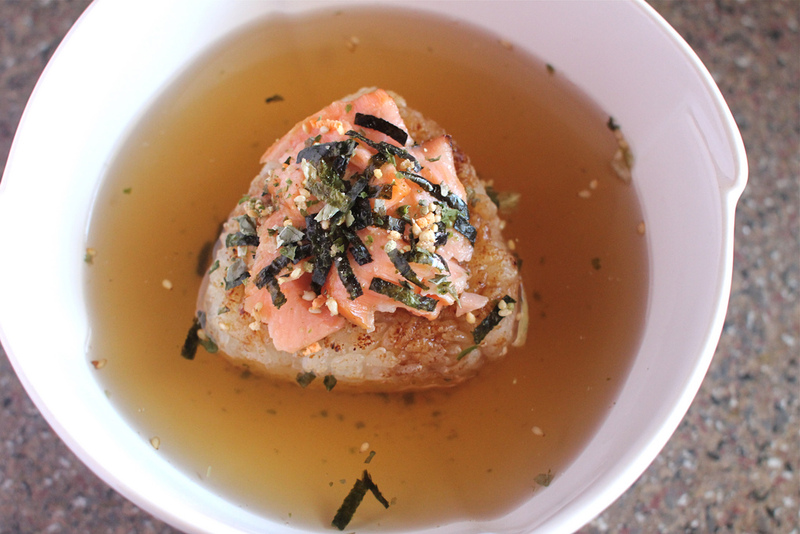 Take the salmon fillets out of the miso marinade and lightly wipe off the excess with a paper towel and pat dry. Add the fillets into the pan and cook skin side down over medium-high heat until browned (1-2 minutes). Flip the fillets over and cook for 10-20 seconds, then put them onto a baking sheet and roast for ~ 10 minutes. Break apart salmon into flakes. • Using scissors, make a few snips into the kombu to help release the flavours. Place water and kombu in a saucepan and soak for at least 30 minutes (the kombu will soften and expand). • Place the pan over medium heat and bring to boil. Just before it reaches boiling point, remove the kombu and discard. Add the katsuobushi to the pot, boil for 30 seconds. Turn the heat off and let steep for 5 minutes. • Strain dashi stock through a fine sieve. Do not squeeze out the flakes, as this will make the stock cloudy and very fishy. 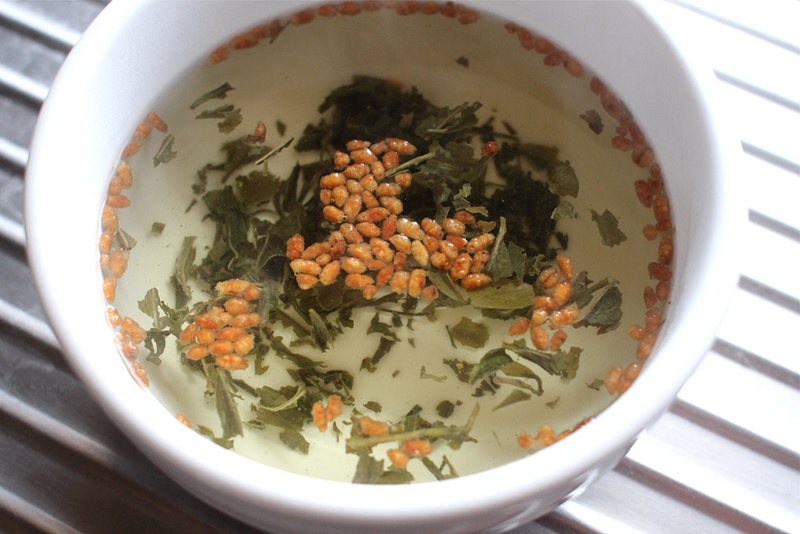 For 1 cup of hot water, I added 2 teaspoons of green tea and let it stand for 60 seconds, then strain. 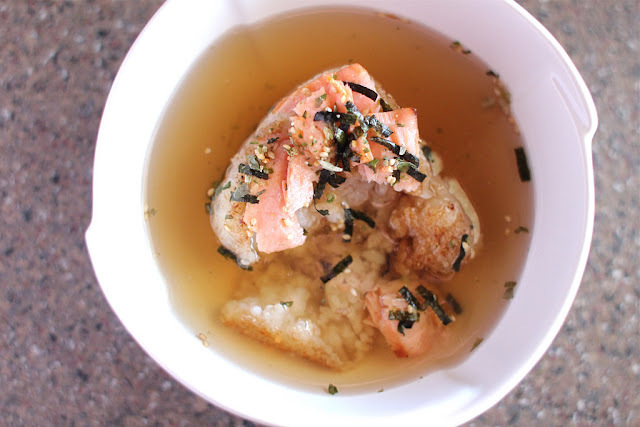 When ready to serve – combine 1 cup of green tea with 1 cup of dashi stock, then season with a little salt to taste. 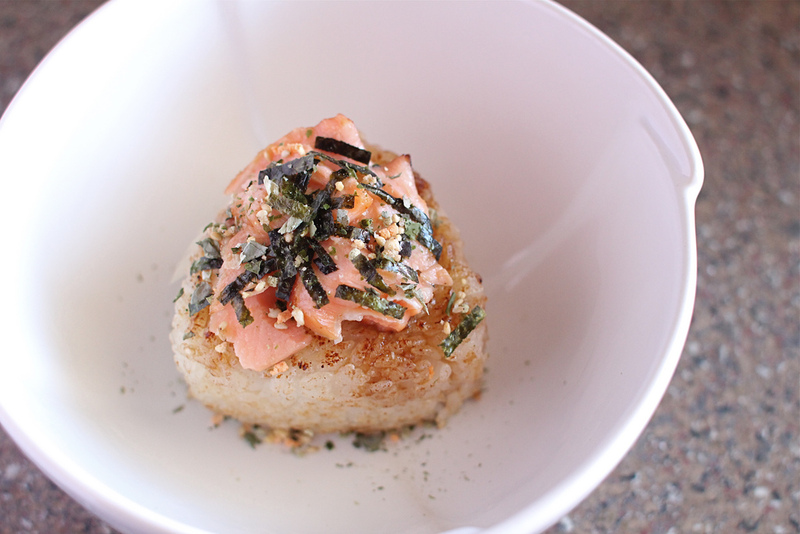 Place a yaki onigiri in a bowl, add salmon flakes on top of the onigiri and sprinkle over some furikake. 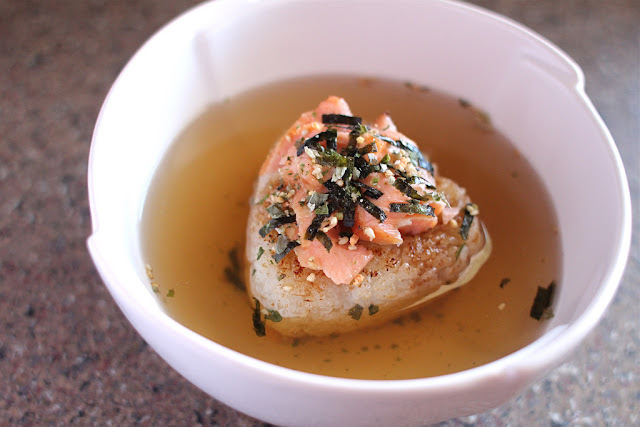 Pour in dashi green tea broth to submerge the onigiri. Green leaf tea has many benefits as it helps to keep our mood cool,reduce the level of blood sugar etc. my favorite tea is loose green leaf tea.